Fort Wayne United Futbol Club is committed to an environment that provides the structure and tools to foster growth in youth soccer players. Why should you consider FW United FC as the place for your child to develop as a soccer player? 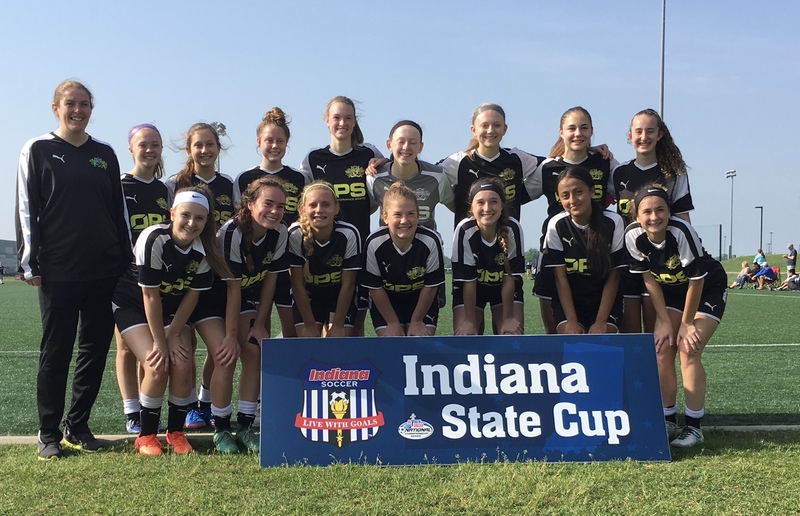 It is very simple: If a young player loves the game, wants to improve his/her skills, wants to learn the right habits at the younger ages and to compete at the highest competitive leagues and tournaments across the region and the nation (at the older age groups), then Fort Wayne United is the way! Our staff is comprised of certified coaches licensed under the United States Soccer Federation (USSF). They are directed by individuals who hold the highest license under the USSF. We boast a diverse group of individuals with vast backgrounds and playing experience at the top college level as well as professional level. They have experience coaching professional, top amateur, Olympic Developmental, Regional, USL, UWS and collegiate teams. The education and background that our directors and coaches possess are what sets us apart. Soccer education is a process. While some believe that going out and simply kicking a ball will teach the necessary skills, that notion is only half right! In this country our youth tends to grow up watching baseball, basketball, football, hockey and many other sports. Many have not grown up watching quality soccer and therefore cannot comprehend what quality soccer looks like. We must teach our youth at the younger ages the right habits; how to dribble, pass and shoot the ball correctly. Teaching technique is critical. If a player learns the incorrect way, then they will be doing it the incorrect way over and over and over again. It needs to be taught by a certified educator who has been in the trenches and understands the progression of teaching that skill. Understanding the importance of getting the right type of education at the earliest stages is essential. Our main objective at the ages of 5-11 is to cement the basics and prepare them for more complex development. They will learn how to recreate individual moves and see how they are incorporated into practice and match play. The practices are designed to encourage lots of contact with the ball and maintain a fun and enjoyable learning environment. The key objectives at practice are to develop awareness and introduce a competitive environment in a controlled manor. The coaching information is kept to a minimum, with simple instructions to the players like; "try this" or "how about this". At this age, the players are unfamiliar with conditioned games and the coaching environment as a whole. Concentration levels can be low, so these games are fun, enjoyable and are relatively quick to get through. By 12-15 years of age, our players have good control of the ball and are more aware of their team mates around them. The foundation has been set for us to introduce more complex practices and encourage intelligent play. They now concentrate on applying the techniques learned through the younger ages. We develop the players with more complex practices to draw out good practice and individual technique. As they reach ages 16-18 , players concentrate on fine tuning the good practice that's been built through the earlier stages. They are now beginning to think and play like sophisticated players and we need to push them to produce the standard required in the most competitive flights. They will compete in Regional and National Leagues as well as at top level showcase tournaments.. Overall Fort Wayne United’s goal is to form a talented player, a strong player and an outstanding person. This happens by teaching core skills and values through the greatest sport in the world “Futbol”!